I started writing my memoir in 1992 with the sole purpose of passing down my family history to my daughter (and son who was born a year later), to tell how vastly different my life had been compared to the lives they were living. I wanted them to know how I survived the Vietnam war and successfully fled the communists at the fall of Vietnam in 1975, my ensuing journey in acculturation and assimilation in America, and how I eventually met their father. It is a story that must be told, a story that's been tugging at my heart, my soul, and all the fibers of my body. It's not a "want" to tell this story, but a need and a must-do life's goal of mine. As time progresses and the political situation has changed with the Syrian refugee crises, this has given me another compelling reason to publish my story now, in order to raise awareness of the refugee experience. No refugee chooses to be a refugee. We do not choose to upset our lives, ripping out our hearts and souls, leaving all that we knew and loved for the unknown. Rather, we do what we must do for our survival and the survival of our children, because it is a basic human need and drive to perpetuate our family's heritage and legacy. Today, I'm sad to see the refugee crisis playing out repeatedly all over the world, and strongly believe that not only is it necessary to share my narratives, but it's unequivocally my obligation to pass it on as part of this country's oral history. My life came full circle and I served for three years at the California Office of Emergency Services as the GIS Chief, leading and providing real-time online maps for response and recovery of disasters, manmade or natural. I served the demographics of the misplaced, the needy, and the distressed, who were refugees of disasters, whether they fled their home from fires, earthquake, or flood. 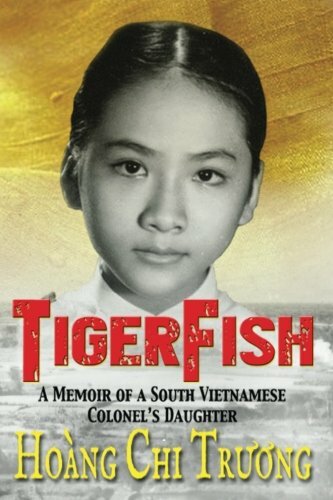 I invite you to join me in creating a kinder, more compassionate world by learning what it means to be a refugee, reading TigerFish, a Memoir of a South Vietnamese Colonel's Daughter . Share book reviews and ratings with Hoang Chi, and even join a book club on Goodreads. Sacramento New Technology High School. Sacramento, CA. Friday. Sept 8th from 1pm to 2pm. Presentation on my writing and refugee experiences in TigerFish to Junior English classes.